What will this course explain? Explain why knowledge of different cell types help identify where certain types of cancer are more likely. 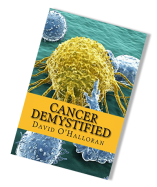 Teach you why cancer has the ability to move and grow away from the primary site of origin. Particularly suitable for anyone working with cancer information and data in all formats. NHS/Charity rates availalke. Early bird available on most courses. To discuss the possibility of holding a course like this in your area then feel free to contact us. * For in-house courses the cost is conditional on the host to provide the venue and refreshments for the duration of the course. All London based course command an extra 'London weighting' cost. See booking form for more details. For the timetable follow the link.